Vinehealth Australia’s activities are funded through a levy paid by vineyard owners and calculated on the basis of the area of grapevines registered with Vinehealth Australia. 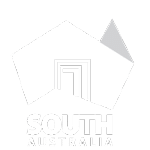 Under the Phylloxera and Grape Industry Act 1995, all vineyards in South Australia of 0.5 hectares or more are required to be registered with Vinehealth Australia. The levy is a state tax and is collected through the Commissioner of Land Tax. Since 1997, this levy has been set at $9.50 per hectare with a minimum of $50. Vinehealth Australia invests funds in programs and research that seek to minimise the risk and impact of pests and diseases (in particular phylloxera) to South Australian vineyards. The Vinehealth Australia levy funds the biosecurity activities that protect South Australian vineyards from pests and diseases, principally phylloxera. The tiny insect caused incalculable damage to the American and European wine industries in the late 19th century. In the face of the growing phylloxera threat, South Australian wine industry leaders persuaded the State Government to establish the Vine Protection Act 1874, prohibiting importation of vine material from countries and Australian states infested with phylloxera. The Phylloxera Act 1899, established the Phylloxera and Grape Industry Board of South Australia, a statutory authority dedicated to the protection of vineyards from phylloxera infestation. The Phylloxera Board – now Vinehealth Australia – has provided 118 years of continuous service. This long dedication to biosecurity by South Australian grapegrowers and industry leaders is a shining light of industry collaboration. The Vinehealth Australia levy been set at $9.50 per hectare with a minimum of $50 for the past 20 years. The levy is more important today than ever before due to increasing biosecurity threats including more phylloxera detections and rising exotic incursions. Vinehealth Australia invests levy funds in resources, programs and research that seek to minimise the risk and impact of pests and diseases to South Australian vineyards. We need a strong biosecurity voice in South Australia to combat rising threats. Q: What is the levy? Calculations are based on the area of vines recorded in the Vineyard Register as being in the ground, living or dead, and the liability is the responsibility of the land owner. The rate per hectare of vines is $9.50 with a minimum contribution of $50. Pursuant to section 23(3) of the Phylloxera and Grape Industry Act 1995, the levy is collected or recovered by the Commissioner of Land Tax on behalf of the Board as if the contribution were land tax and is subject to the same penalties for delay or default in payment. However, the Commissioner of State Taxation has delegated its powers and functions described in Section 23(3) of the Act to the Presiding Member of the Phylloxera and Grape Industry Board of South Australia (trading as Vinehealth Australia). Q: Who pays: the land owner or the lessee? A: The levy is a liability that pertains to the land owner as per the definitions of the Act. If a property is to be leased, it is the responsibility of the land owner to implement formal arrangements with the lessee as to payment of the levy. Vinehealth Australia can send Notice of Assessments direct to the lessee upon written authorisation of the land owner. The debt will remain in the name of the landholder. It is the responsibility of the land owner to ensure payments are made. If the fees are not paid, penalties and debt management will be directed to the land owner. Q: What time period does the levy relate to? A: The levy is imposed annually on vineyards comprising 0.5 hectares or more of planted vines as at 30 April and Notice of Assessments are sent to levy payers in May/June each year. Notice of Assessments are in arrears for the levy period 1 May to 30 April for the year prior. Q: Vines are being planted on my property. What do I do? If a land owner is leasing to a third party who plants vines, it is the land owner’s responsibility to inform Vinehealth Australia. Contact details of the leasee can be added as ‘operators’ but the levy will be generated against the land owner’s name. Q: How do you keep track of vineyards? A: Vinehealth Australia regularly utilises aerial imagery to confirm the existence of vineyards and sizes of vineyards. Mapping is updated regularly and is used by Vinehealth Australia’s GIS specialist to determine the size of vineyards. Variations to existing records are cross checked with land owners via the annual Vineyard Records which are posted to land owners each year. Notifications of removal of vines is cross checked using the most recent imagery. Q: My vines are dead. What should I do? A: The Act clearly states that the levy applies to vines in the ground, living or dead. Dying or dead vines can still pose a pest/disease risk and hence still incur the levy. Complete removal of the vines is required for the levy to no longer apply to a particular land parcel. Land owners must inform Vinehealth Australia within 3 months of removal of the vines. Removal times may impact on the billing period being that the levy is in arrears (for the previous year). A: Vinehealth Australia acknowledges the financial challenges faced by some growers. It is important to contact Vinehealth Australia as soon as possible if extra time or payment plans are required. The levy is a mandatory liability and can not be waived or refunded. To avoid debt management, growers who are experiencing financial hardship are encouraged to contact Vinehealth Australia. Annual debt management processes are to ensure outstanding debts are recovered, and thus enable Vinehealth Australia to fulfil is primary functions.